NV5 High-Performance Infrared Motion Detector | Welcome To EbnEzz services wireless networks and the Internet ! alone creep detector (1quad sensor with interlock geometry). 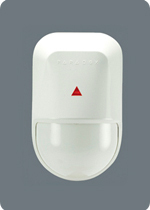 NVX80 combines unique Paradox technologies to provide superior detection with minimum false alarms. Full color OLED menu display and 4-button interface – intuitive guide to program, customize settings and test the unit.